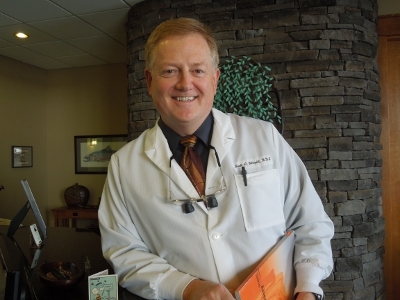 Dr. Scott A. Wright has been a practicing dentist in the Boise area for over 20 years, having one of the preeminent practices around. Dr. Wright is a graduate of the University of Iowa and has had extensive training while in the military. He also is a graduate of the Dawson Center Continuum in St. Petersburg Florida. Through the Idaho National Guard he was promoted to Brigadier General (brevet) and also was awarded the Legion of Merit for his service to the U.S. Army and his portfolio of work worldwide. Through it all he retained his focus on patients. We invite you and your family in to see and feel the differences associated with the practice of high quality dentistry. Click here to contact Centennial Dental Center today!